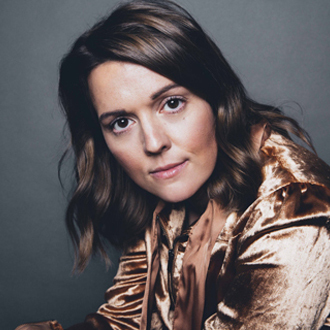 Update: Brandi Carlile won three Grammy Awards, for Best Americana Album (By The Way, I Forgive You), Best American Roots Song (“The Joke”) and Best American Roots Performance (“The Joke”). Brandi Carlile has been a respected singer/songwriter who has grown in popularity during the past decade. First breaking through with her hit single & gold album (both called The Story) in 2007, she has released six studio albums, a live album and a benefit charity album. Notably, her previous album, The Fireman’s Daughter (released in 2015) was nominated for a Grammy Award for Best Americana album. She has also earned a reputation for being a strong live performer, and she now headlines theaters and amphitheaters across the country. Notwithstanding her achievements so far, Carlile’s career could be reaching a higher level of success with the release of her new album, By The Way, I Forgive You. It has been acclaimed by music critics as an outstanding album, perhaps her best album to date. Rolling Stone magazine reviewed the album and gave it four stars, and called it “a delicate masterpiece.” By The Way, I Forgive You is full of very soulful, emotional songs that convey lyrical depth and a sense of purpose. Born and raised in the small town of Ravensdale, Washington (40 miles from Seattle), Carlile is now based in Nashville. When she was a teenager, she learned to play guitar and piano, and she is known for being a powerful singer with an impressive vocal range. Early in her career, Carlile met the twin brothers, Tim and Phil Hanseroth, who have become important songwriting collaborators and band members for Carlile. Tim Hanseroth (bass & vocals) and Phil Hanseroth (guitar & vocals) have formed a lasting, creative union with Carlile, and have literally become members of her family (Phil is married to Carlile’s sister). In addition to the contributions of the Hanseroth twins, Carlile’s new album also features excellent production by Dave Cobb & Shooter Jennings of Nashville. Notably, By The Way, I Forgive You also includes beautiful string arrangements by legendary arranger Paul Buckmaster, who recently passed away. Buckmaster was known for creating string arrangements for Elton John’s classic hit songs, plus songs for David Bowie, the Rolling Stones and other artists. We are pleased to do this new Q&A interview with Brandi Carlile. She discusses the making of her new album, her songwriting process, and how she wrote some of the key songs on her album. DK: Can you tell me about the making of your new album? Brandi Carlile: We made the album in Nashville at RCA Studio with (producers) Dave Cobb and Shooter Jennings. We had made a number of records (Bear Creek, The Firewatcher’s Daughter) without a producer prior to making this album. Early on, we had made records with producers T-Bone Burnett (The Story) and Rick Rubin (Give Up the Ghost). It’s been a long time since we worked with a producer. So making this album was a big, intense transition and part learning experience. DK: Your album is titled By The Way, I Forgive You. So is forgiveness the main theme of the album? Carlile: Yeah, it sort of is the main theme of the album in an abstract way. It’s not about specific themes with specific people, although there are definitely those chapters and those moments on the album and in the stories. But it’s more about a really broad, abstract, human process of acceptance…not to be confused with complacency. on the Jimmy Kimmel Live show. DK: One of my favorite songs on your album is “The Joke,” which has a strong message. What inspired you to write this song? Carlile: Well, I just have been feeling global and social politics a little bit more emotionally than intellectually over the last year. And I wanted to write “The Joke” as an anthem for myself and anybody that was feeling kind of unloved or unseen or illegal, just to remind us that our time is coming. We’ve already won. The joke is on those in temporary power. Love has already conquered the world. DK: Another favorite song on your new album is “Sugartooth.” Is this song about suicide, about someone who took their own life? Carlile: Yeah it is. The song is about a specific person for us. The person who did that was somebody that the twins (Tim & Phil Hanseroth) grew up with, and that my dad knew in rehab. And when [this man] died, I was the one who had to tell them about it. We were in Switzerland at the time. But the story, in a much broader sense, is that sadly, it’s way too many people’s story. And I don’t want to minimize it with social politics. But the crisis that we’re seeing, opioid addiction in this country, will be sadly all too familiar [when people listen to “Sugartooth”]. DK: You mentioned Tim & Phil Hanseroth, who’ve been in your band and written songs with you for many years. How would you describe your creative relationship with them? Carlile: Well, my creative relationship with Tim and Phil is total. It’s a total, creative collaboration, and it’s also a life collaboration. It’s a situation where our families are together, for better or worse, all the time. We are literally a family—Phil is married to my sister and they have a baby. We live on the same property. We’re with each other all the time and looking out the same windows. And when I sing a song about them losing a friend, or about one of their divorces or a death in the family, I’m singing about someone I know and love, and it’s my story too. So our collaboration has become so much more intimate and much more total in the last 10-15 years. And so this album is by far the strongest representation of our intimacy as a band. We co-wrote everything on this album, because we co-live. DK: On your previous album credits, it says that you write some songs by yourself, some songs with Tim and Phil, and some songs that they write separately. Is that correct? Carlile: Yeah that still happens, but it’s all about the story being sanctioned. Like if somebody comes to the table with a song that’s beautiful and it doesn’t need any of our hands on it, then it becomes everybody’s song just by it being sanctioned or understood by the other two people. And if a song does need someone’s hands on it we usually know, and we’ve got those hands there to put on it. So even if I write a song by myself, it’s not really a song for our band until it’s sanctioned by the twins, and vice versa. DK: When you write a new song, how do you usually get started? Do you come up with a title or lyric idea, or do you work on the music first? Carlile: Essentially, I’m not much of a songwriting workshop instructor type of person, because it really just happens to me. I don’t even know how or why or where, and sometimes it doesn’t happen for years at a time. I’ll go two years without writing a song. But when it happens, I’m just kind of witnessing it, you know. It might just be, I sit down at the piano and play a chord that I’ve played everyday for the past 20 years. But today for some reason, the chord is a song, and a song comes out. Or I wake up in the middle of the night and reach over and grab a pen and paper and start writing a story, or writing poetry. And then the next morning, the chords come to me. It’s like something that just comes through. It’s all about recognizing that it’s trying to come through, and being able to stop whatever I’m doing and let it happen. DK: In addition to your songwriting, you’re known for being strong vocalist who can sing with range and emotion. So when you’re writing, do you try to write songs in a range or with phrasing that gives you a chance to sing powerfully? Carlile: I don’t really think about that when I’m writing songs personally, because I think that automatically that I’ll just express myself in ways that are dynamic. And Tim doesn’t think about it when he writes…he writes more linear songs based on the story and the grooves and the melody. But Phil always thinks about singing—he wants these big, dynamic power ballad moments, even in his uptempo songs. He tends to write these giant vocal jumps for me because he wants to hear me do ‘em. But also because if he were singing, he would do ‘em. So he wrote “The Story” (which has the big vocal range). And Tim wrote “A Promise To Keep.” (which is a more linear song). I like both scenarios—I like when Phil writes the vocal jumps for me, and if Tim doesn’t write in a vocal jump, I’ll just put one in there between the phrases. Because I do like to show off (laughs). DK: I think your fans like that you can hit those high notes powerfully, which adds more intensity to your songs. Carlile: Yeah for every show, there’s gonna be about five percent of the people thinking, “I wonder if she can hit the next note.” Because I’m one of those people; when I go to other concerts I do that. So it’s terrifying for me to think that even one person might be disappointed because I skipped [a high note] or something. DK: Are there certain days on tour, when you have a cold and you know it’ll be a struggle to hit the high notes, but you just push through it? Carlile: Hell yes, absolutely yes…all the time. Especially the older I get (laughs). DK: On your new album, some of the songs have beautiful string arrangements by the late Paul Buckmaster, who is known for doing the arrangements for Elton John’s classic songs. How did you connect with Buckmaster to have him do your string arrangements? Carlile: When I was 12 years old, I had Paul Buckmaster’s picture on my wall, because Elton John has worked with Paul on his album Tumbleweed Connection, and he had pictured Paul in the packaging. So because I was so obsessed with Elton John starting when I was 11, I cut out every picture that had anything to do with Elton John and hung it on my wall. DK: You’ve now released six studio albums, and you’ve built a larger audience each year, even without having another big hit like “The Story.” So these days, do you still try to write songs that could receive major radio play, or just write songs that come from your heart and soul? Carlile: The only thing that I’ve really truly put my heart and soul into over the last 20 years has been being a live singer and a live communicator. And bringing people together in a space where I can see them and being a part of a movement…a live movement. I’ve always made records because that’s what you do when you’re a recording artist, because that’s what I believe—you have to document the songs that you’re writing and the space that you’re in. But I don’t think I ever knew how to put my heart and soul into a record until this album. And I think it was the twins (Tim & Phil Hanseroth), Dave Cobb and Shooter Jennings that showed me how to do emotionally what I’m doing live on this album. So I think that it’s the first time that [the emotion of the live show] can be reflected on an album. DK: Thank you Brandi for doing this interview. Is there anything else that you’d like to mention for this article? Carlile: Yeah, one fun thing is that the cover of the album was painted by Scott Avett (of the Avett Brothers). I went to North Carolina and I sat for Scott Avett, and he painted a portrait of my face. And the deal was, I didn’t get to see [the painting] until it was already the cover. It was kind of an extension of the self-revelation that you hear on the album…we wanted you to see it as well. Also, the photos on the album were done by Pete Souza, who’s a famous photographer; he was Barack Obama’s photographer for eight years. And it was the same concept—he came and lived at my house for a week and every time I came out of my bedroom in my bathrobe, he was there with a camera in my face. I wanted to just embrace the self-revelation all the way around; the artwork and the lyrics on the album. So I thought that’s a fun thing to talk about, because I think albums still matter and artwork still matters.